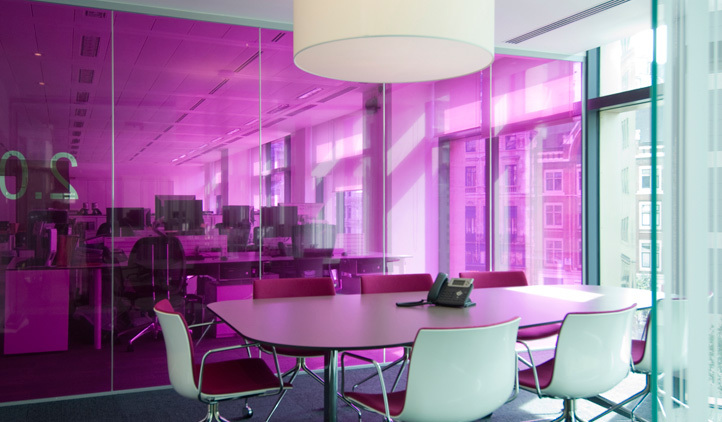 Relocating to the iconic Tea Building in Shoreditch High Street, All Global wanted to make the most of the distinctive interiors and encourage communication between their teams. We responded with an industrial design aesthetic that accented All Global’s corporate colour palette and created a warm, open working space. We retained the striking 1930’s tiling and cast-concrete floor, then created a dynamic flow between the spaces that added to the building’s natural light. So we managed to bring the business closer together while respecting its new location.